Fiji’s new High Commissioner to Australia His Ex­cellency Luke Daunivalu was sworn in at Borron House on Thursday. Mr Daunivalu took the oath of allegiance and oath of exe­cution of office before the President, Major-General (Ret’d) Jioji Konousi Konrote, Senior Government officials and immediate members of his family. Prior to his diplomatic appointment, Mr Daunivalu was Ambassador and Deputy Permanent Representative at the Permanent Mission of Fiji to the United Nations. 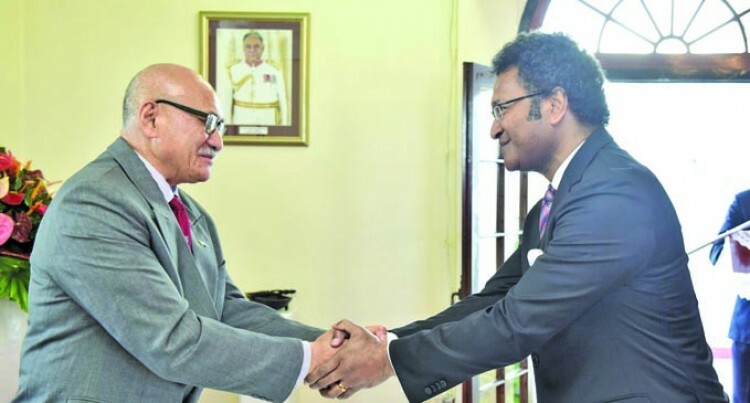 He served as New York Deputy Secretary (Policy) and also as Counsellor/Deputy Permanent Representative at the Permanent Mission of Fiji to the United Nations in New York. Ambassador Daunivalu holds a Masters in Public Inter­national Law and a separate Bachelor of Laws, attained from Australia in 1996.